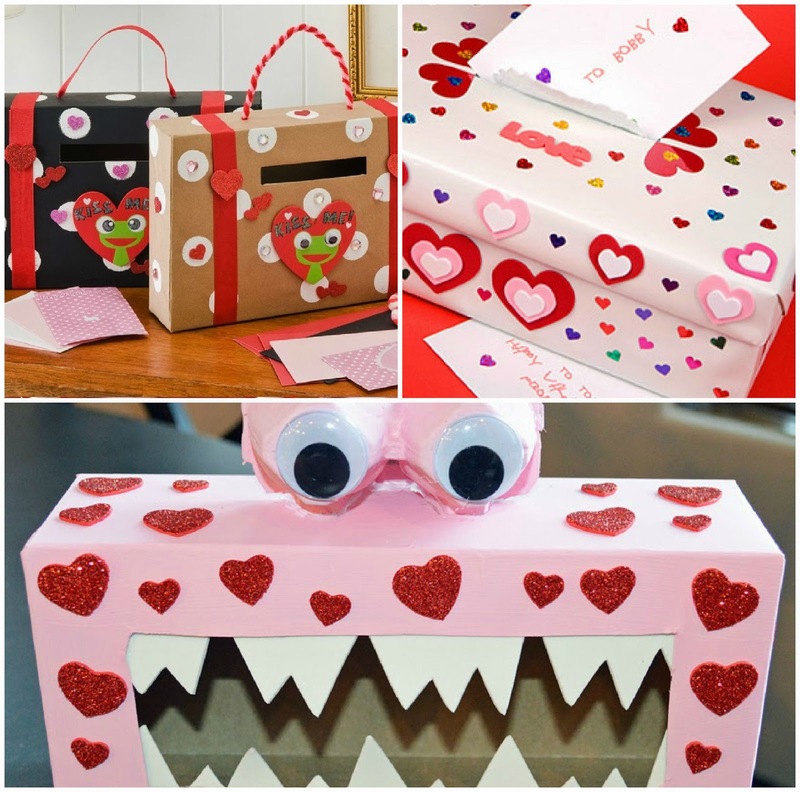 With the long holiday weekend ahead, I thought I publish a fun Valentine's Day post full of SUPER EASY DIY Valentine's Day crafts, gift and treat ideas so easy there's no tutorial or crazy supplies needed. Enjoy! This is a classic, that you can do year after year. Fill grandma's garden perhaps? Make a stepping stone path in the back garden? Roll out like dough then form into a heart. Get those little toes and a butter knife! Once the footprints are made, use a butter knife or thin end of a fork to PRESS in the letters, DO DO NOT drag, letters will get screwed up. Bake @ 200F (or 100C) for 3 hours. Once completely cool, paint and let dry. I thought I would remind you how easy it is. Three things: Old box. Crafting crap. Your imagination. 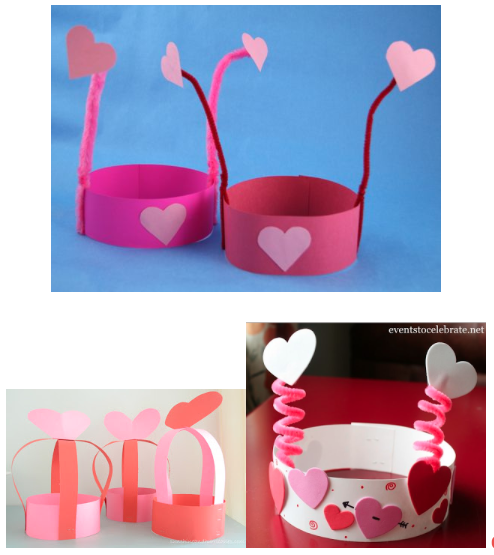 Speaking of class party, here's a cheap and easy heart hat. TIP: Forget the white plates. Find Valentine's Day Party plates! 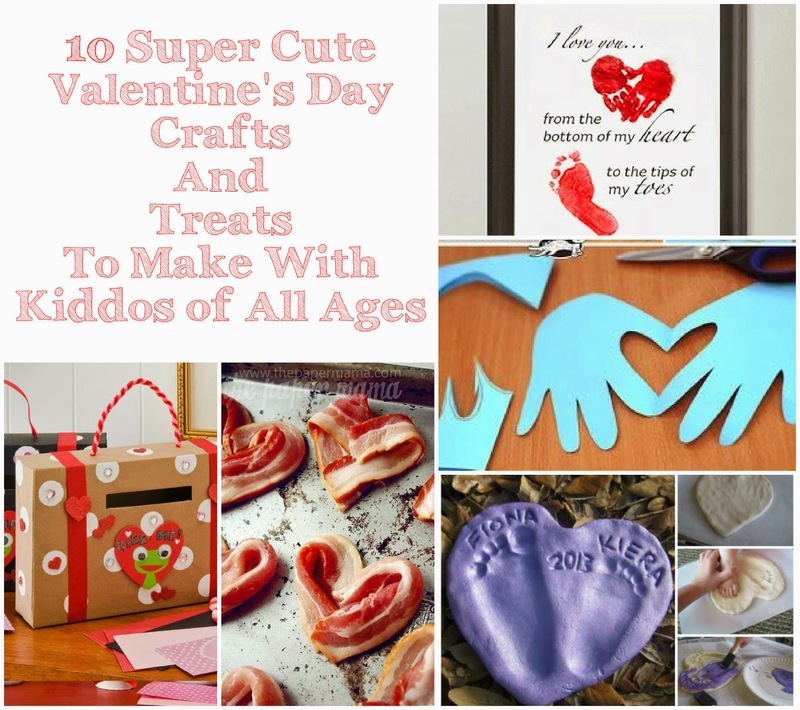 Feeling all crafty? Kick the hat up a notch or two. Here's another great party idea, check out these super easy heart cupcakes. Do a family dinner everyone will love! 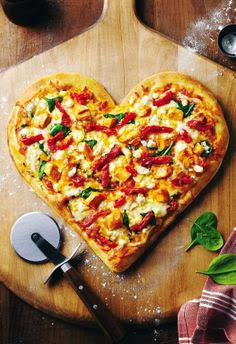 Heart-shaped Pizza! 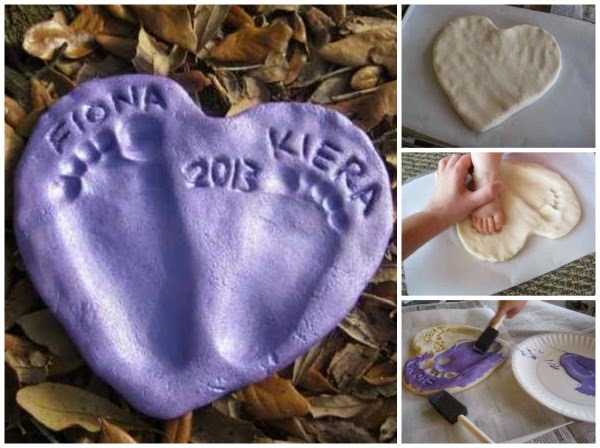 Roll out the dough, then shape into a heart. Wanna know the fastest way to your man's heart? 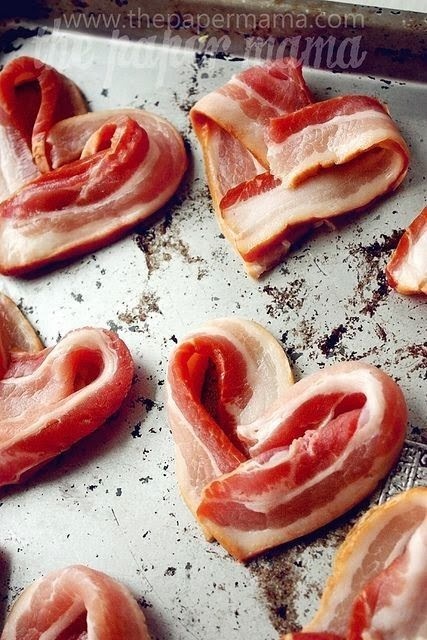 NOTHING says I Love You, Man, like bacon hearts! For perfect hearts, cut strips in half, then shape half a heart at a time. 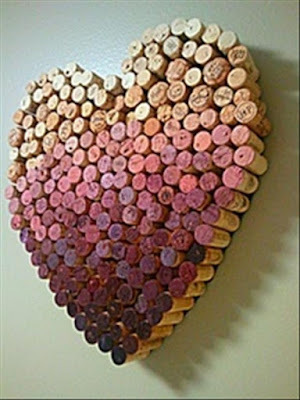 Speaking of guilty pleasures, you could always make a Cork Heart! Organize red to white for the perfect gradient. And for dessert, Rice Krispie kisses. Or, maybe peanut butter cookie hearts. Yep. I have to go make those. Now.